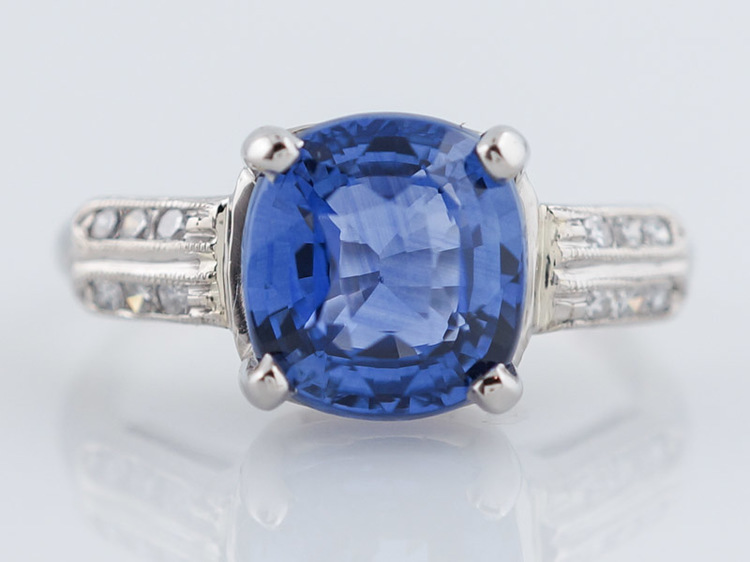 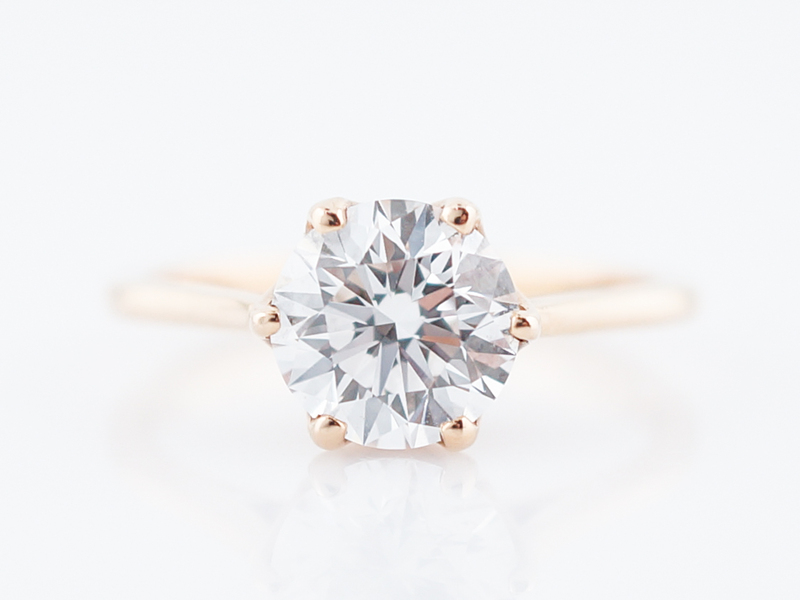 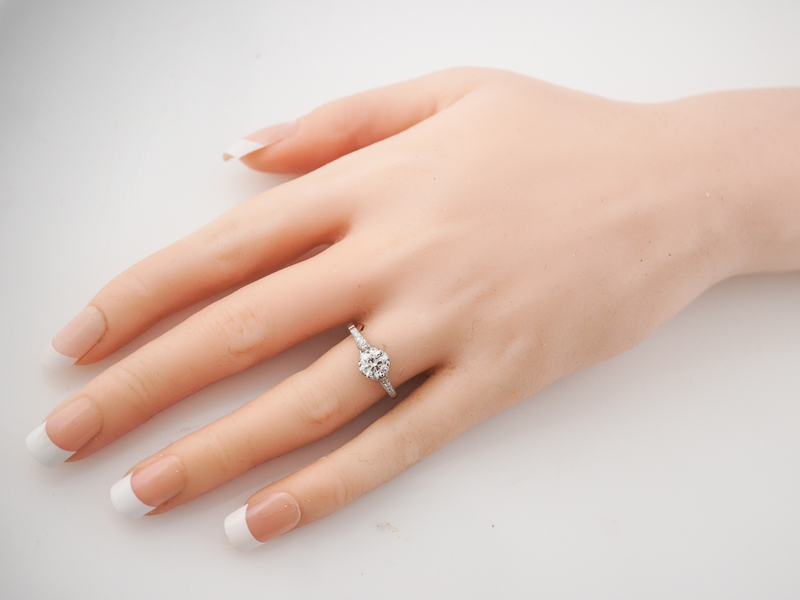 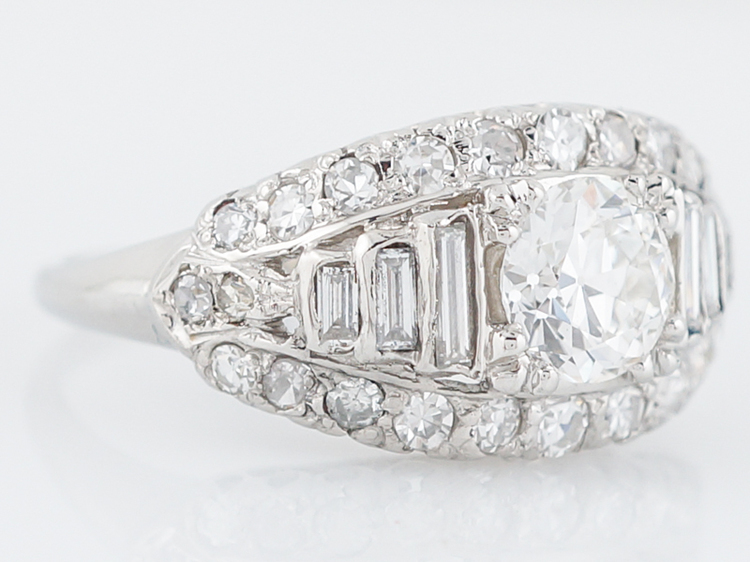 This modern engagement ring features a .75 carat round brilliant cut diamond. 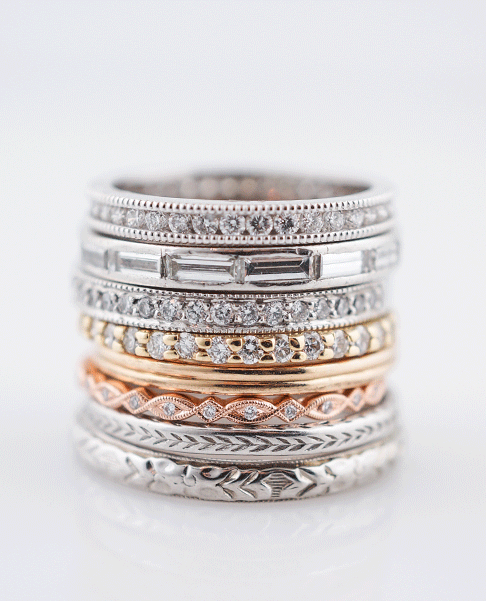 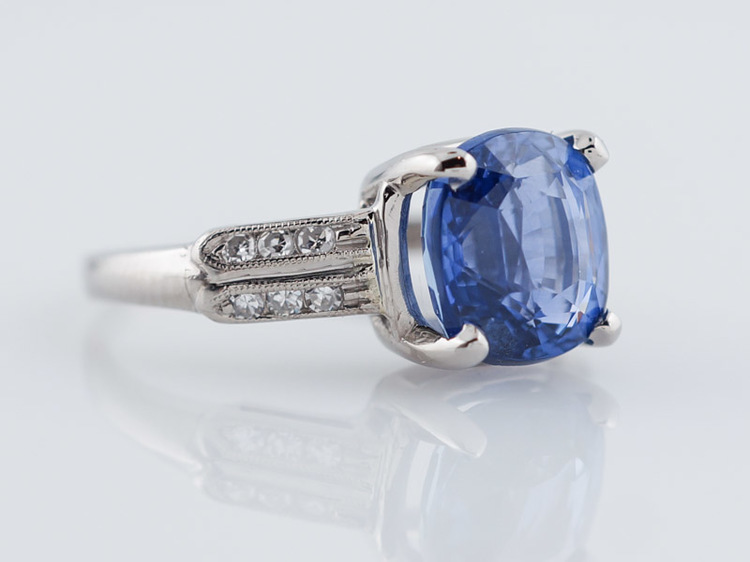 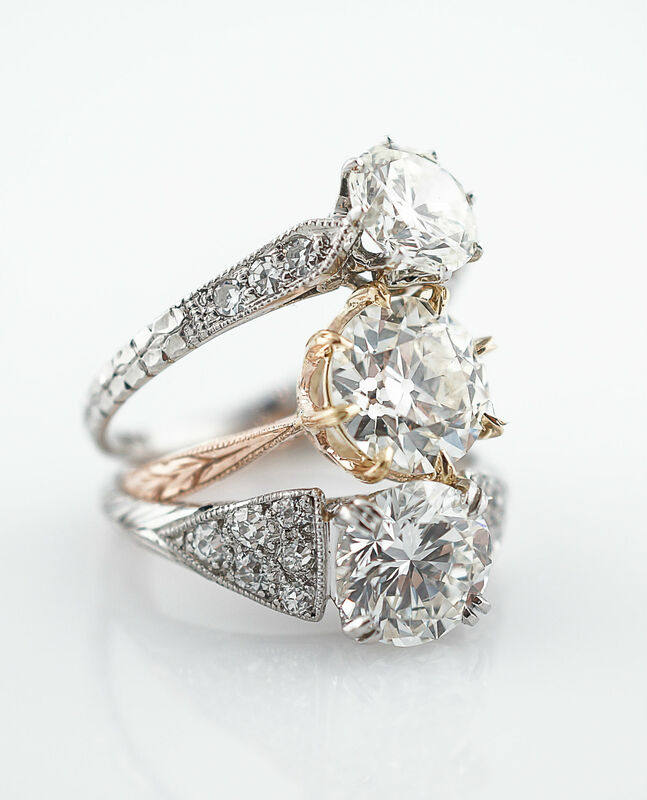 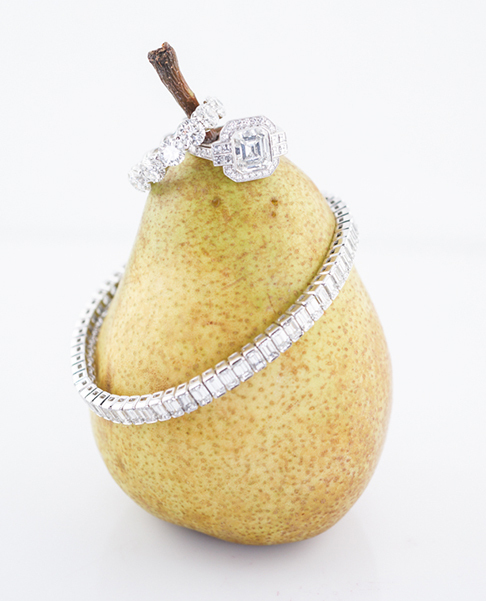 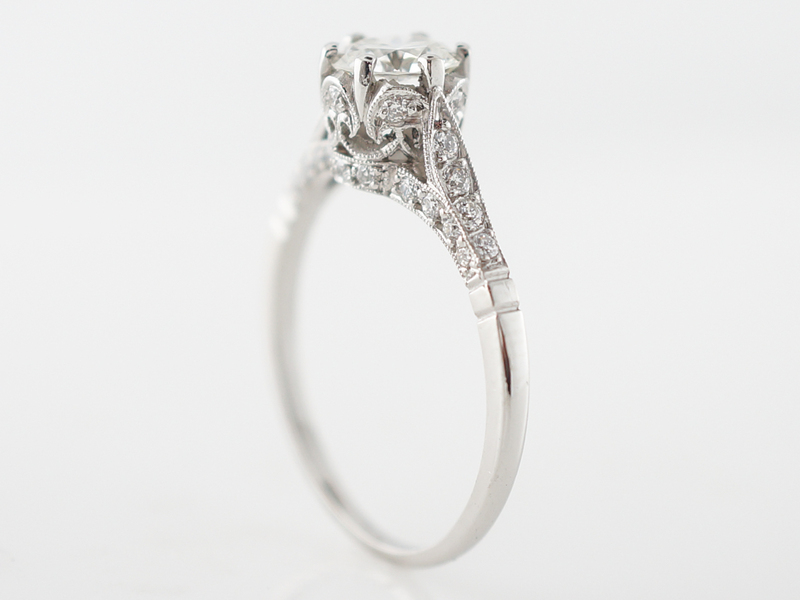 The center diamond sits in a finely crafted and ornate crown style basket adorned with accent diamonds. 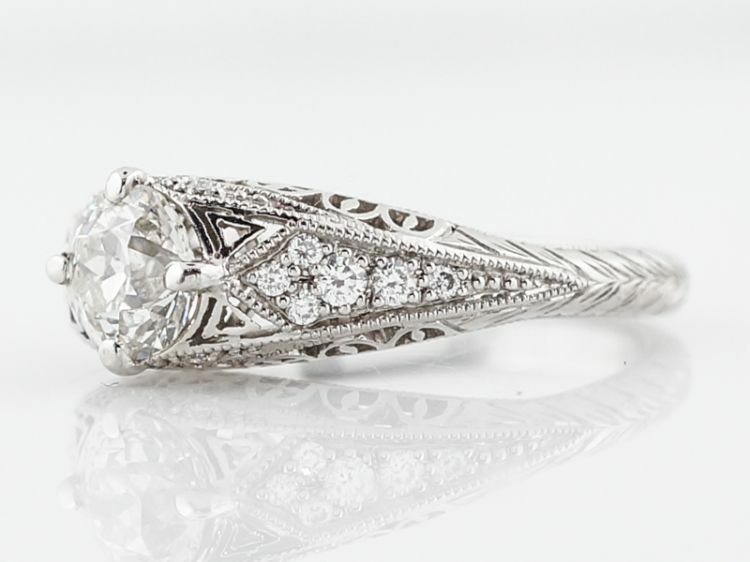 Additional accent diamonds are set into the shoulders of the ring as well as the undercarriage, giving the ring incredible sparkle from every angle. 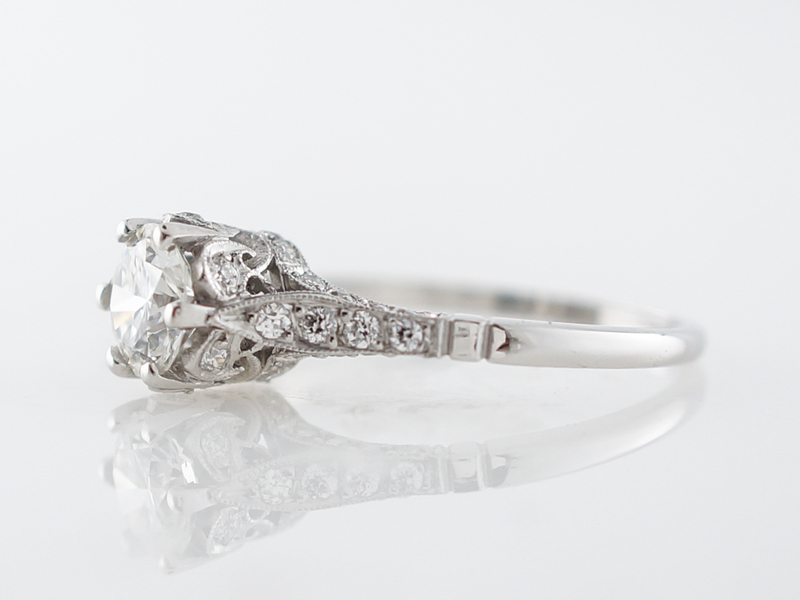 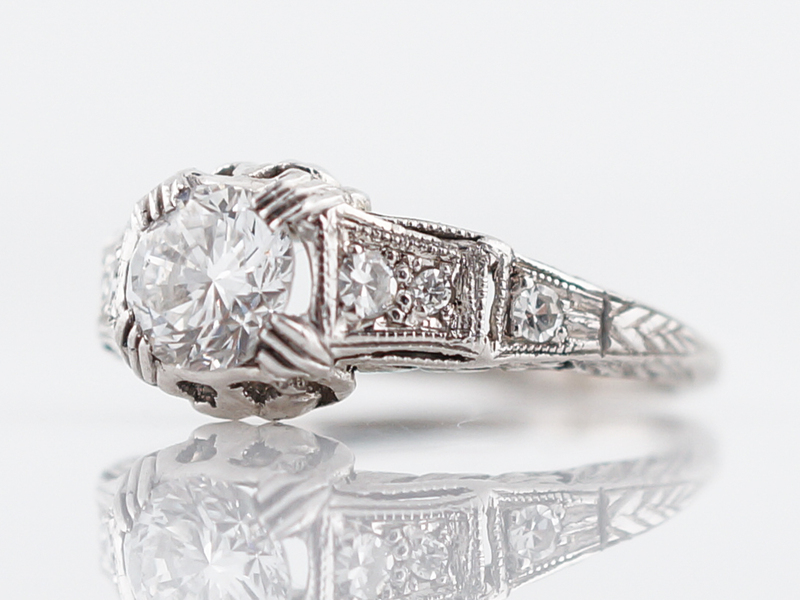 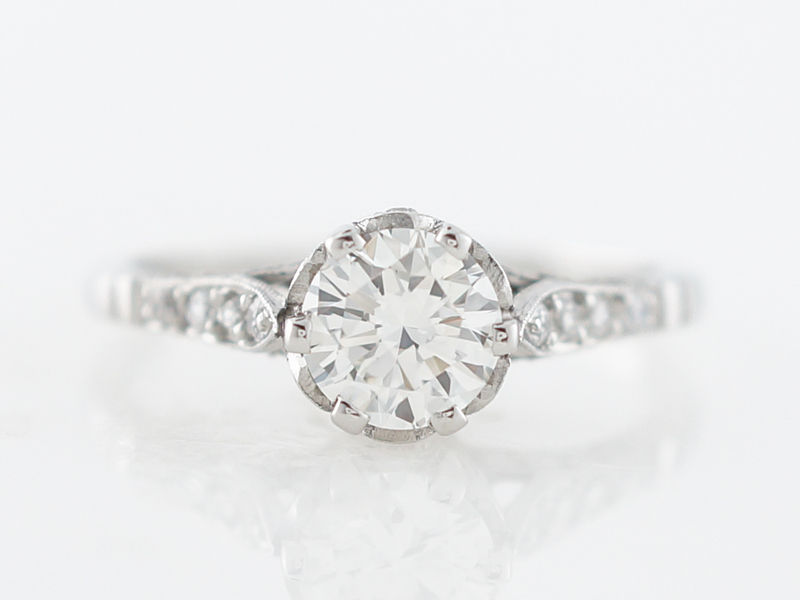 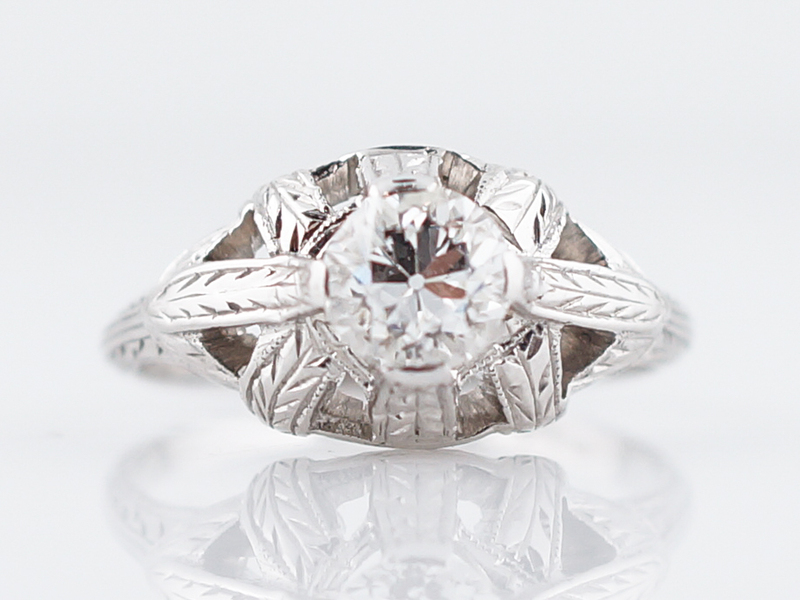 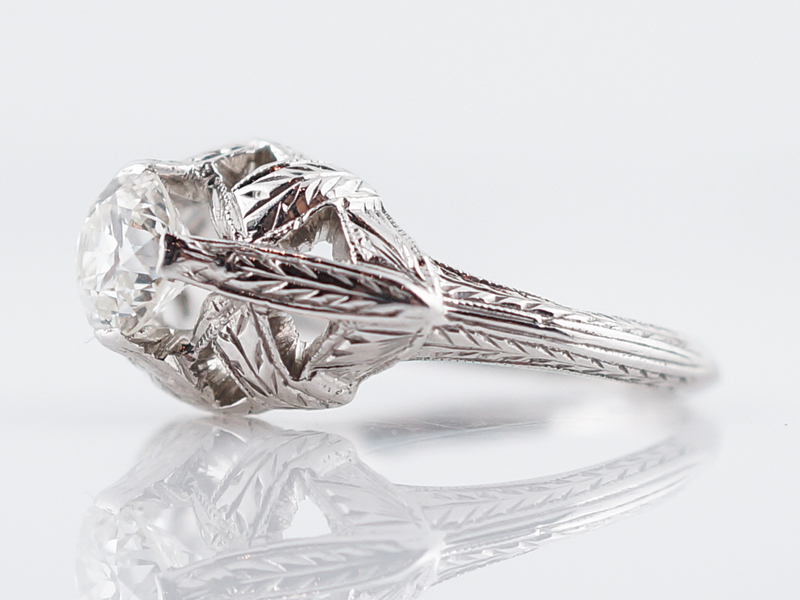 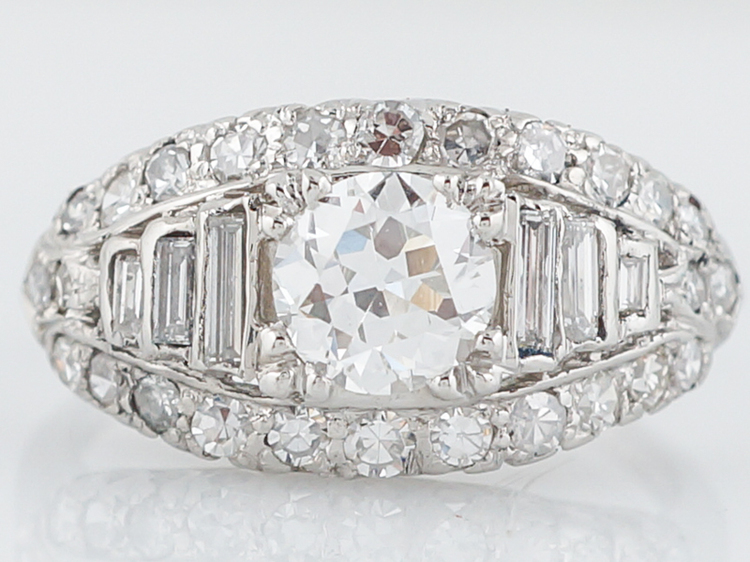 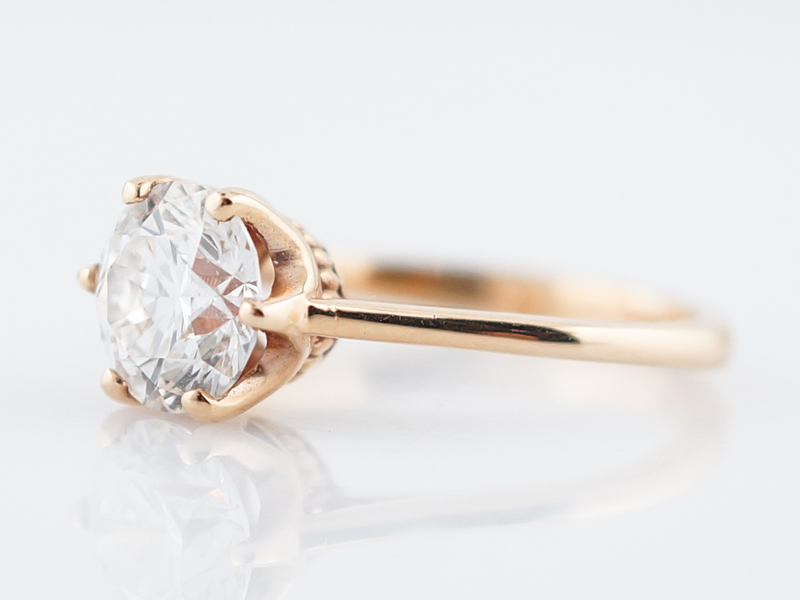 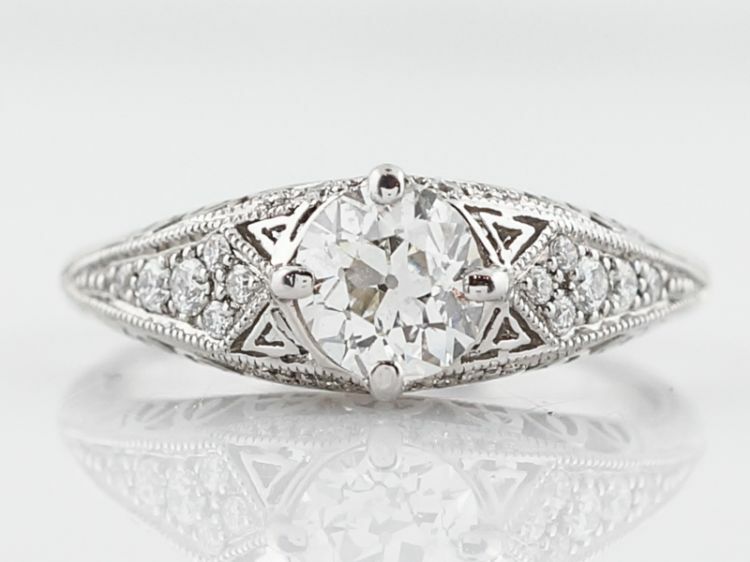 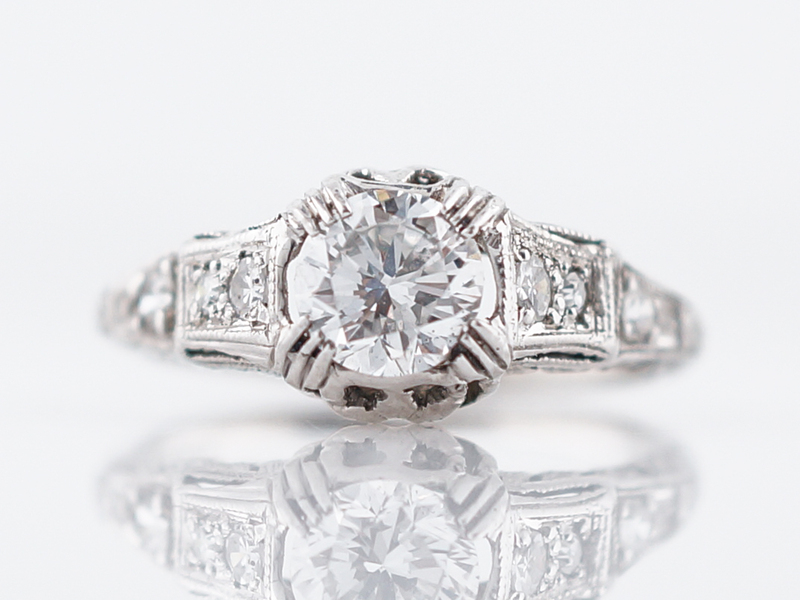 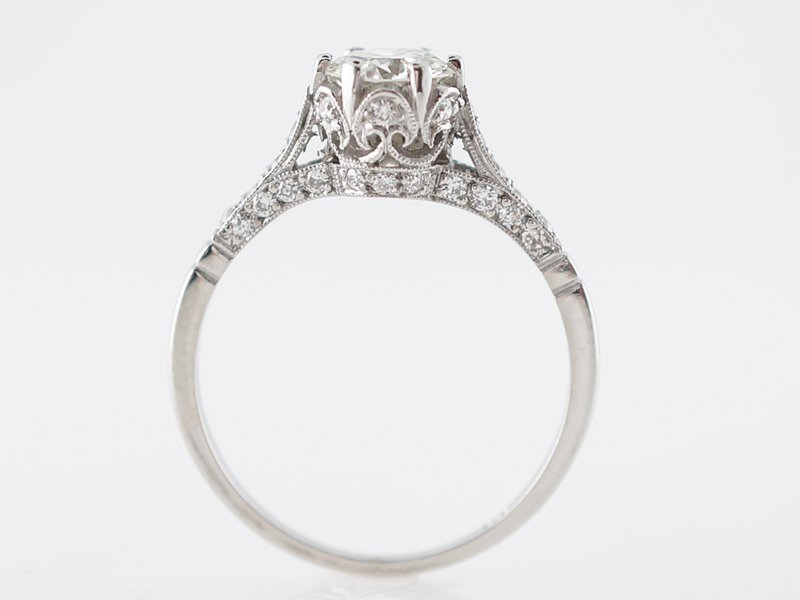 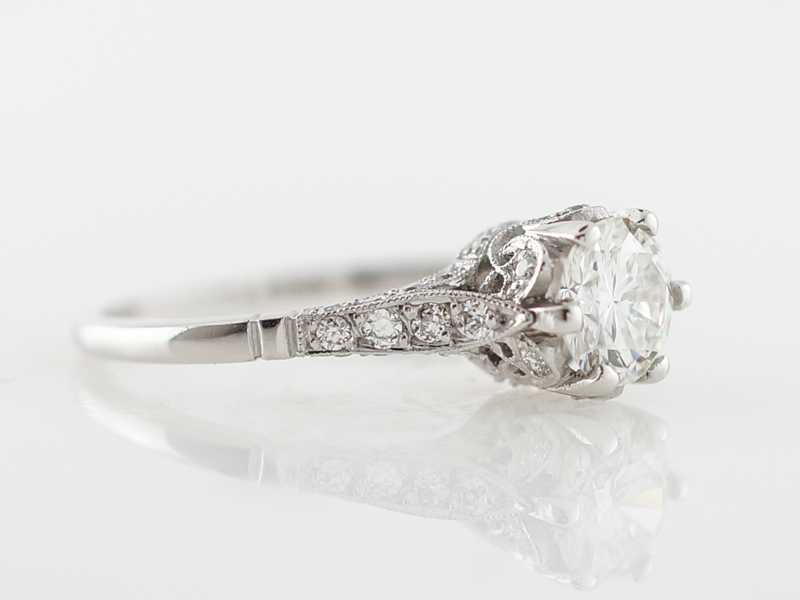 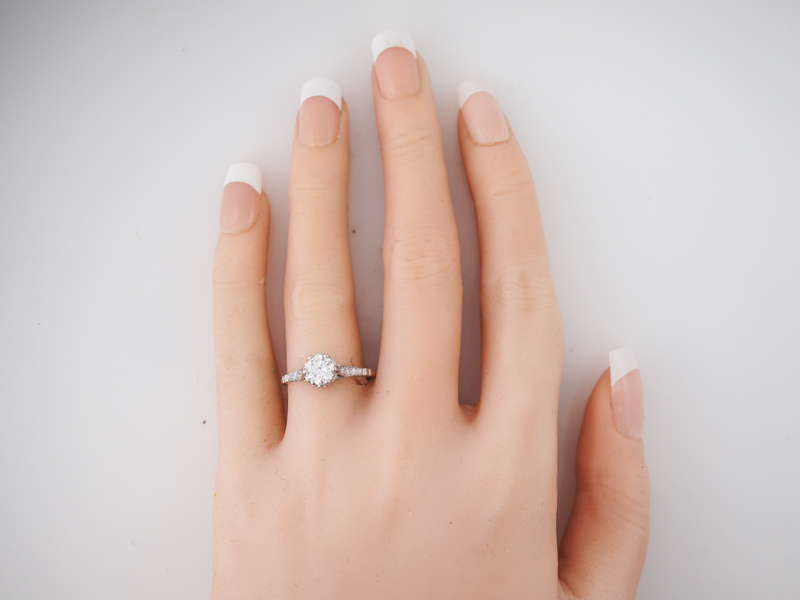 Finished in platinum, this modern vintage style engagement ring looks like it is straight from the 1920’s.